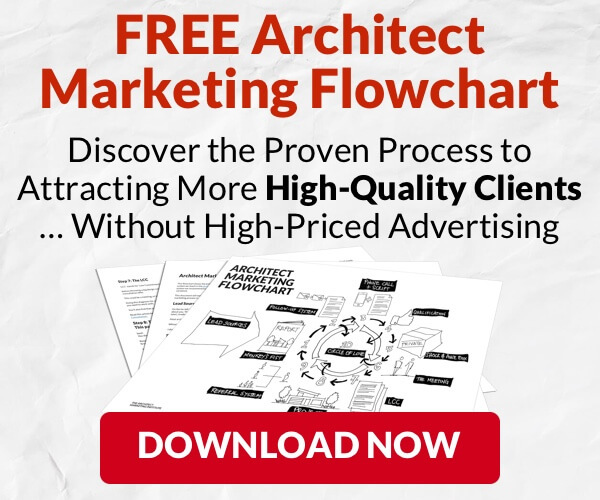 This was designed to help those who find it difficult to market their architecture firm. 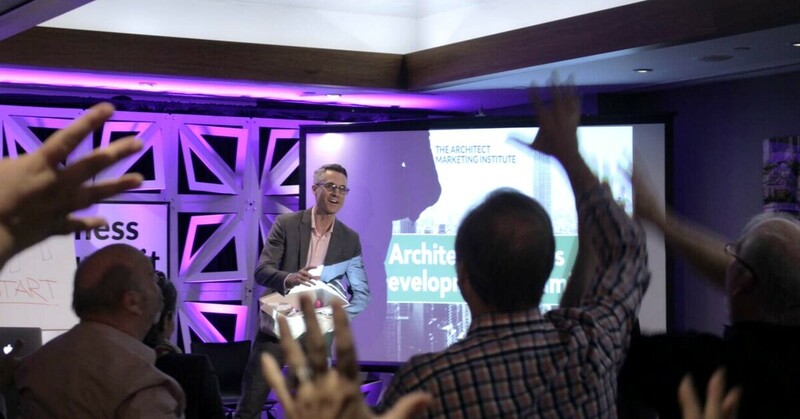 It's time to get over selling in architecture. In this article, you'll discover that successfully promoting your firm is a matter of finding a comfortable mindset that resonates with the way you see the world. He said this without any hesitation. Well, actually that's not 100% true. 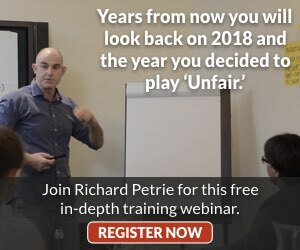 There are many people in the U.S. who fear being seen as a salesperson (especially professionals) and, likewise, there are people in England, Australia and New Zealand and everywhere else who have no hang up at all. I am one of them. I sell things, help other people sell things, and enjoy selling … and am good at it and proud of my skills. When I think of selling, I think of helping people solve problems. Like you, I'd hate to be thought of as a hard sell guy. I don’t mind being passionate if I have a solution for someone, but it is always because I believe in what I sell. Now I look back and think, ‘How ridiculous!’ but at the time, that is what I thought. Because so many people have a fear of selling, I thought it might be useful to you to explain what my values and beliefs are. If you like any of them, then feel free to ‘adopt’ it. 2) I see selling as ‘finding out what people want and then giving it to them.’ This FEELS significantly different from ‘shoving something down someone’s throat who does not want it.’ Bottom line: We don’t need to hard sell if we take the time to do marketing properly; i.e. find out who already NEEDS what we have. 4) People get a great value when they buy from me. They are better off than they were before. 5) Kids are great salespeople; somehow we lose our skills as we get older. Maybe we buy into false beliefs that don’t work as well as what we were born with. 6) If you want to own a business, you learn how to sell. 7) The world’s richest and most successful people are all good salespeople. If you own a business or property, then you are a salesperson. 8) The best salespeople tell the truth. There are enough buyers and people who have needs and wants that you don’t need to ‘lie’ or hard sell. 9) When people buy good value, they get excited and are fun to be with, and when they get results they are even more fun. Why wouldn’t I want to be the guy who sold them the program? I get rewarded upfront and rewarded with gratitude at the back. 10) Commission salespeople (including business owners) earn more money than employees because they have no income ceiling. 12) Not everyone is a natural salesperson; however, this skill can be learned. Do this by overcoming mindset issues, or getting new strategies or skills. 13) Selling is about helping people achieve their goals. If you help people get what they want, they’ll help you get what you want. 14) We are all ‘selling’ something to someone CONSTANTLY, so we might as well get over selling in architecture and do it really well. 15) A lot of my clients become friends. 16) Those who know how to sell or influence to a level that only a handful of other people in the world truly know, have a huge advantage. 17) It is easier to be honest and provide real value and get well-rewarded than it is to lie and cheat and have to watch your back all the time. I have no idea why people would want to make life hard for themselves. Lying is too much hard work and just unethical. 18) If no one sold, the world would stop. Services wouldn’t be provided, products would not help people, people who were stuck would stay stuck. The world MUST have selling happen to function. Well, those are my uncensored beliefs and subjective views on selling. See anything you like? 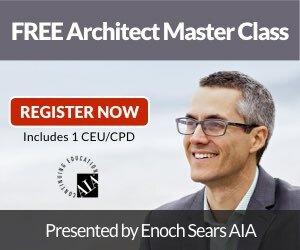 Let me know if you've been able to get over selling in architecture and have a great technique to share – we'd love to hear about it! For more information on this topic, visit our post about A Big Idea = Selling. So now, get over yourself and start selling! Salesperson – and loving it! P.S. The secret to selling is to find out what people really want and then give it to them. Ten years later, this is still widely the case in Australian residential architecture, with less than 4% of new home owners appreciating the value of architect designed homes and seeking an architect’s design input. Improvements can certainly be made so that innovative design solutions are an option for a greater majority of Queenslanders, rather than a select few.